Rarely Seen showcases items that rarely get a turn in the spotlight and the stories they share. Like most museums, we only display a small fraction of our collection! 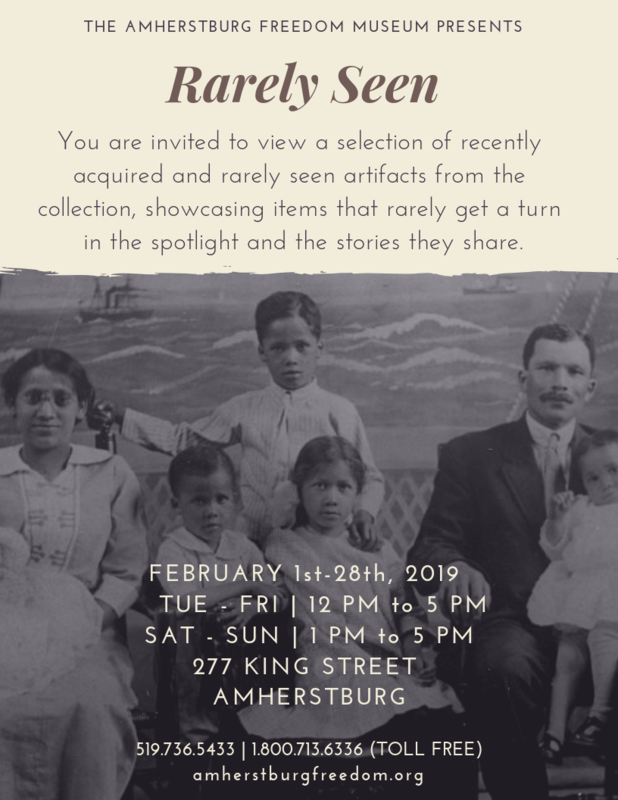 It is important to open up our collection and bring out artifacts and archival materials that explore the deep connections to this area’s rich Black historical roots and its present day connections. In addition to our temporary exhibit ‘Rarely Seen’, throughout February, the Museum will be offering $1 off admission for each person who can tell us what year the Nazrey AME church was built (1848) and by whom (people fleeing enslavement in the U.S).